Published August 13, 2018 by admin. The skin around the eye area is very delicate and much thinner than in other areas of the face, especially under the eyes. 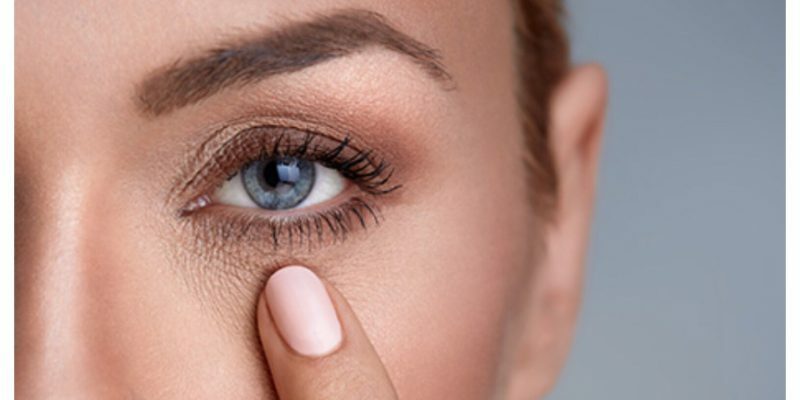 As we age the skin becomes even thinner and supporting structures around our eyes change and this Periorbital (around the eye) area is a very common concern for many patients. 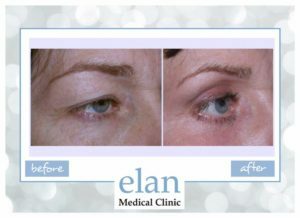 At Elan Medical Skin Clinic, Sue Ibrahim often recommends a combination of treatments to rejuvenate the skin around the eyes. Skin Fillers can be used to fill out treat troughs, hollows underneath the eye. This is a specialist treatment that Sue Ibrahim has a lot of experience in. Mesotherapy delivers essential nutrients into the skin, including Hyaluronic Acid. These nutrients help to stimulate the production of collagen and elastin in the skin. Within weeks, you will notice an improvement in the elasticity of the skin in the under eye area. The skin will look and feel less fragile. The skin will brighten in appearance. 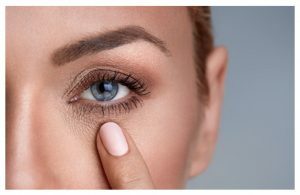 Endymed 3 Deep treatment also helps to firm the elasticity of the skin around the eyes and is often recommended for patients who are not suitable for skin fillers or mesotherapy. Plasma Soft Surgery is recommended for women that have loose skin around the eye area, who do not wish to go down the surgical route. This treatment is suitable for the eyelids. Our EndyBleph Fractional Skin Rejuvenation is also a popular choice of treatment for those who require skin tightening around the eye area. Our lead practitioner, Sue Ibrahim, has over 30 years experience in dermatology. For the past 18 years, she has specialised in cosmetic dermatology. And, because Elan Medical Skin Clinic is a fully registered medical clinic, you can rest assured that your eyes and face will be in a safe pair of hands. Becuase everyone has slightly different concerns, your first step in to book Free Consultation with Sue Ibrahim. She will be able to discuss with you which combination of treatments will suit both your budget and your expectations. Why not take a look at what our clients are currently saying about us on our Live Review Page.